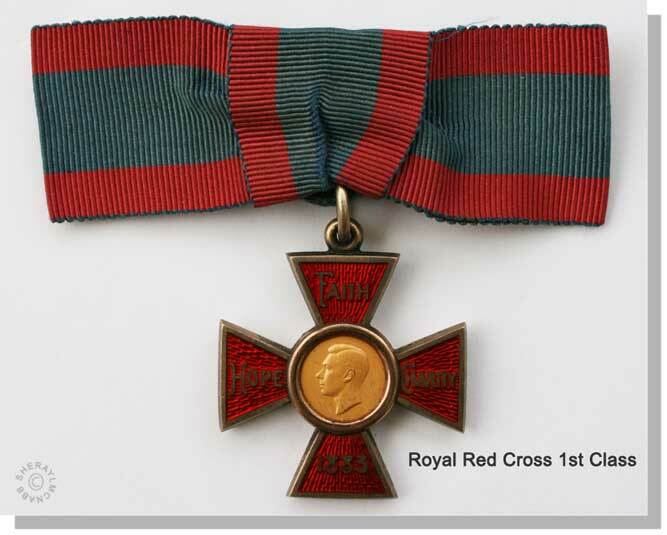 The Royal Red Cross (RRC) was institured on 23 April 1883 to recognise the services rendered by certain persons in nursing the sick and wounded of Our Army and Navy. Since its institution there have been many changes. Two major changes occurred during World War One, the first in 1915 when the award was split into two classes and the second in 1917 when a Bar was added. In 1976 men became eligible for the award. 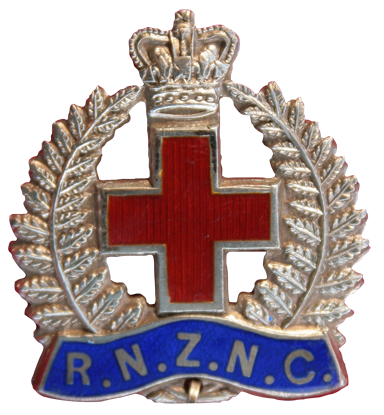 The total awards to members of the New Zealand Army Nursing Service for World War One were, 14 RRCs, 1 Bar to the RRC, 72 ARRC and 46 MIDs. 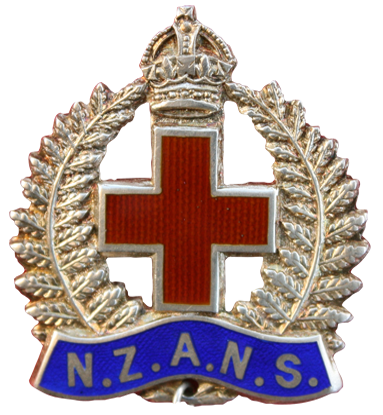 For World War Two there were 3 OBEs, 1 MBE, 9 RRC, 26 ARRC, 1 ED & 39 MIDs awarded to members of the NZANS. To members of the NZWAAC (Med.Div. )1 MBE and 22 MIDs were awarded. Between 1950 to1994 there have been 9 RRCs, 20 ARRCs, 1 BEM and5 QCMs awarded under the British Honours system. Since 1995 under the New Zealand Honours system there has been 2 MNZMs and 1 DSD awarded. When the New Zealand awards system was put in place it did not include the RRC.